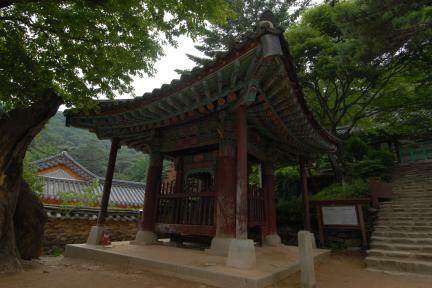 일제시대 말기 금속류의 강제수탈 과정에서 중국에서 건너온 철종으로서 광복 후 부평군기창에서 발견하여 전등사로 옮겨 현재까지 보존하고 있다. 형태와 조각수법에서 중국종의 전형적인 특징을 갖춘 높이 1.64m, 입지름 1m의 종으로 한국의 종과는 확연한 차이를 보이고 있다. 종꼭대기에는 두마리의 용이 서로 등지고 웅크려서 종의 고리를 이루고 있고, 소리의 울림을 돕는 음통은 없이 천판(天板) 중앙에 구멍을 뚫었다. 몸통 위 부분에는 8괘를 돌려가며 배치하고, 종의 몸체 중간을 가로지른 3줄의 띠로 종을 크게 두 부분으로 나누어 각각 8개의 정사각형 곽을 돌렸다. 이 정사각형 곽에는 명문을 새겼는데, 명문을 통해 이 종이 중국 하남성 백암산 숭명사의 종이라는 것과 북송 철종 4년, 곧 고려 숙종 2년(1097)에 주조되었음을 알 수 있다. 비록 철로 만든 종이지만 종소리가 청아하며 중국 북송 시대에 만들어진 명문을 지니고 있어 중국종 연구에도 귀중한 자료가 되고 있는 문화재이다. 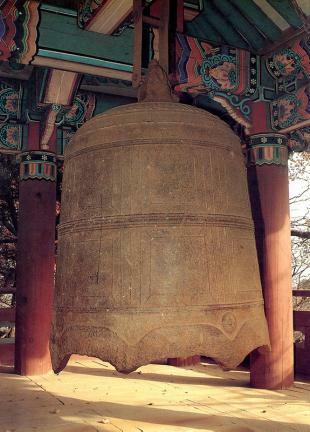 This bell is similar in shape and manufacturing technique to other Chinese bells. It is relatively large, 164 cm in height and 100 cm in mouth diameter. 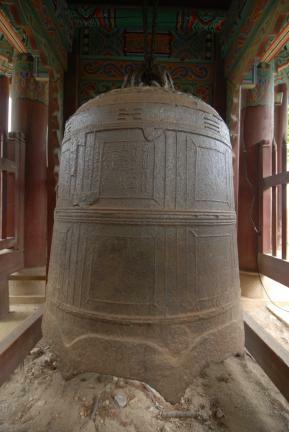 At the top of the bell two dragons are leaning against each other, crouching to form a loop, and the shoulder is encircled with lotus flowers. Around the upper part of the body are eight trigrams. The rest part of the body is horizontally divided into two, and each part has eight squares around the body. 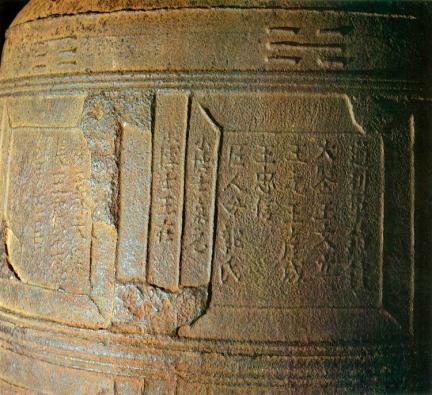 Some inscriptions are engraved in the spaces between the squares. 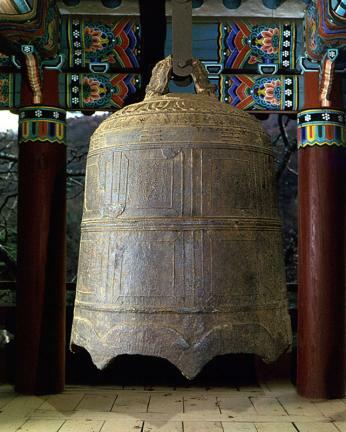 According to them the bell basically belonged to Sungmyeongsa Temple in Baegamsan Mountain, Henan Province of China and was cast in the fourth year of the reign of King Cheoljong (1097) of the North Sung Dynasty, that is, the 2nd year of the reign of King Sukjong of Goryeo. 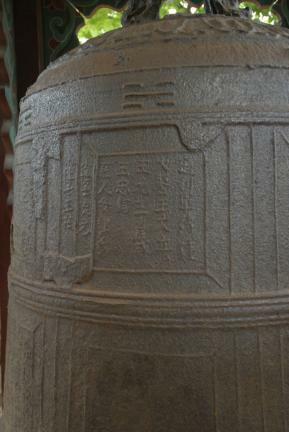 It has an elegant sound and is a significant source for the study of Chinese bells.